I will never forget the first time I saw a Pileated. They do not occur on Long Island – where I grew up – and so I never saw one until my sophomore year in college. I was walking alone on the trails at Sapsucker Woods. There, on the ground, in the middle of the wet woods, was an enormous bird. 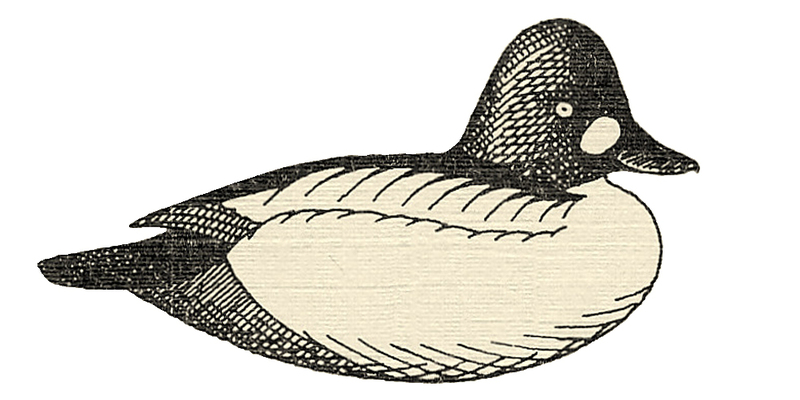 I knew it was not a crow – and it was obviously a woodpecker when it arose and flew off. I had had no idea – the field guides really did not convey the size! Now I live in dairy country – Pileateds are a daily occurrence. Especially once you know their call and their flight, they are everywhere. 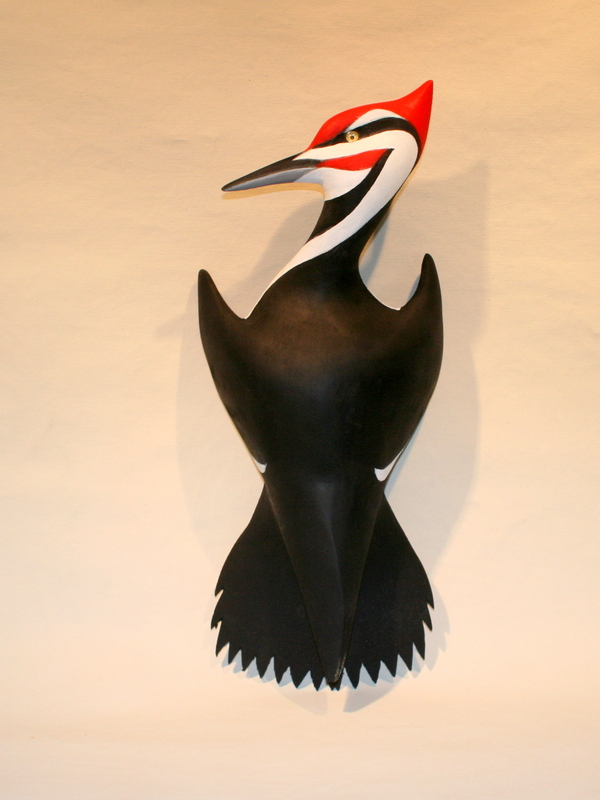 It was for that reason – that most people who live in a rural landscape, know the Pileated. I carved this bird for an local fundraiser – Landscapes for Land’s Sake – an annual event put on by the Agricultural Stewardship Association, a wonderful organization that protects farmland in Washington and Rensselaer Counties. 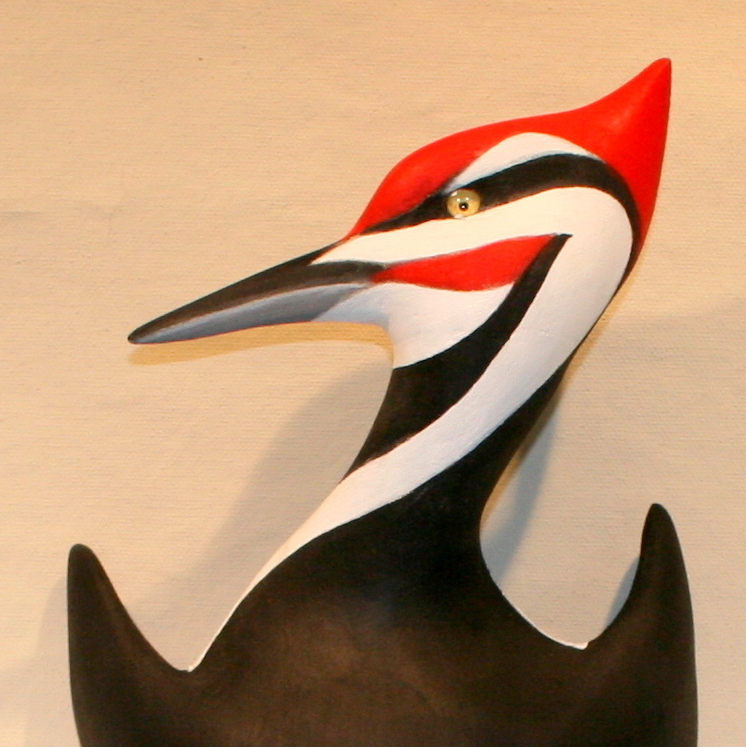 I carved it in folk art style – an unmistakable, almost iconic shape with what I call a “diagrammatic” paint scheme. No subtleties – just hard edges, fair curves, and bold patches of color. The painting was thus very simple. In fact, all but the lower bill were painted with pigments straight from the can (or tube) – no mixing at all! Finally, it could perch on the wall anywhere – in a camp or den or milking parlor – and it could be hung by anyone who could drive a small nail (thanks to a small hole I had bored a hole in its chest).